Home Business Why Good Employees Leave the Organisation? Will Managers & Employers Note? Employee turnover is the biggest challenge that the organizations face. Especially, those employees who have been the best at their work. But have the organizations realized that it is only because of them and their managers? Mr. Prem Anand, Operations Director of Tennex Consulting Pvt Ltd., have studied the case in detail and has shared his experience. Tennex Consulting Pvt Ltd is a consulting organization run by professionals belonging to the Government services and leading private organizations. 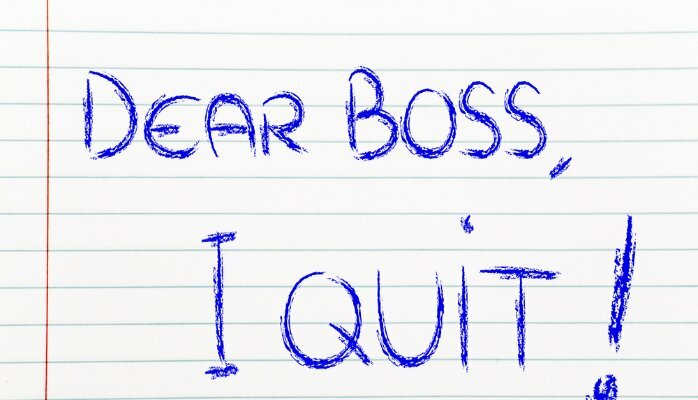 It’s pretty incredible how often you hear managers complaining about their best employees leaving, and they really do have something to complain about – few things are as costly and disruptive as good people walking out the door. First, we need to understand the nine worst things that managers do that send good people packing. Nothing burns good employees out quite like overworking them. It’s so tempting to work your best people hard that managers frequently fall into this trap. Overworking good employees is perplexing; it makes them feel as if they’re being punished for great performance. Overworking employees is also counterproductive. New research from Stanford shows that productivity per hour declines sharply when the workweek exceeds 50 hours, and productivity drops off so much after 55 hours that you don’t get anything out of working more. If you must increase how much work your talented employees are doing, you’d better increase their status as well. Talented employees will take on a bigger workload, but they won’t stay in their job suffocates them in the process. Raises, promotions, and title-changes are all acceptable ways to increase workload. If you simply increase workload because people are talented, without changing a thing, they will seek another job that gives them what they deserve. 2. They don’t recognize contributions and reward good work. It’s easy to underestimate the power of a pat on the back, especially with top performers who are intrinsically motivated. Everyone likes kudos, none more so than those who work hard and give their all. Managers need to communicate with their people to find out what makes them feel good (for some, it’s a raise; for others, it’s public recognition) and then to reward them for a job well done. With top performers, this will happen often if you’re doing it right. 3. They don’t care about their employees. More than half of the people who leave their jobs do so because of their relationship with their boss. Smart companies make certain their managers know how to balance being professional with being human. These are the bosses who celebrate an employee’s success, empathize with those going through hard times, and challenge people, even when it hurts. Bosses who fail to really care will always have high turnover rates. It’s impossible to work for someone eight-plus hours a day when they aren’t personally involved and don’t care about anything other than your production yield. An unfavorable employer or manager most likely wouldn’t give an employee their undivided attention. 4. They don’t honor their commitments. Making promises to people places you on the fine line that lies between making them very happy and watching them walk out the door. When you uphold a commitment, you grow in the eyes of your employees because you prove yourself to be trustworthy and honorable (two very important qualities in a boss). But when you disregard your commitment, you come across as slimy, uncaring, and disrespectful. After all, if the boss doesn’t honor his or her commitments, why should everyone else? 5. They hire and promote the wrong people. Good, hardworking employees want to work with like-minded professionals. When managers don’t do the hard work of hiring good people, it’s a major demotivator for those stuck working alongside them. Promoting the wrong people is even worse. When you work your tail off only to get passed over for a promotion that’s given to someone who glad-handed their way to the top­­­­­­­, it’s a massive insult. No wonder it makes good people leave. 6. They don’t let people pursue their passions. Talented employees are passionate. Providing opportunities for them to pursue their passions improves their productivity and job satisfaction. But many managers want people to work within a little box. These managers fear that productivity will decline if they let people expand their focus and pursue their passions. This fear is unfounded. Studies show that people who are able to pursue their passions at work experience flow, a euphoric state of mind that is five times more productive than the norm. Horrible Bosses, like Colin Farrell’s character in “Horrible Bosses,” fail to challenge people intellectually. 7. They fail to develop people’s skills. When managers are asked about their inattention to employees, they try to excuse themselves, using words such as “trust,” “autonomy,” and “empowerment.” This is complete nonsense. Good managers manage, no matter how talented the employee. They pay attention and are constantly listening and giving feedback. Management may have a beginning, but it certainly has no end. When you have a talented employee, it’s up to you to keep finding areas in which they can improve to expand their skill set. The most talented employees want feedback – more so than the less talented ones – and it’s your job to keep it coming. If you don’t, your best people will grow bored and complacent. 8. They fail to engage their creativity. The most talented employees seek to improve everything they touch. If you take away their ability to change and improve things because you’re only comfortable with the status quo, this makes them hate their jobs. Caging up this innate desire to create not only limits them, but it also limits you. 9. They fail to challenge people intellectually. Great bosses challenge their employees to accomplish things that seem inconceivable at first. Instead of setting mundane, incremental goals, they set lofty goals that push people out of their comfort zones. Then, good managers do everything in their power to help them succeed. When talented and intelligent people find themselves doing things that are too easy or boring, they seek other jobs that will challenge their intellects. Next articleAre Human Beings the Most Dangerous Species in the World? May Be!! !